Communicating with different ages, backgrounds and seniority levels is the biggest challenge facing Ethics and Compliance professionals, according to a delegate survey held at SCCE’s European Compliance & Ethics Institute in Prague, Czech Republic (2 – 5 April, 2017). Seventy-five per cent of respondents said ensuring their communications work across all demographics is their biggest hurdle. SnapComms CEO Sarah Perry remarks this is a world-wide trend. “The profile of today’s labour force is more diverse than say 20 years ago. “Reasons include a more transient workforce; ambitious individuals think nothing of relocating to a new region to pursue their career goals. Sixty-three per cent of respondents to the SnapComms survey said that transforming dry, interesting compliance topics into engaging content was also a key challenge, along with addressing email overload and simply trying to get messages through (63 per cent). 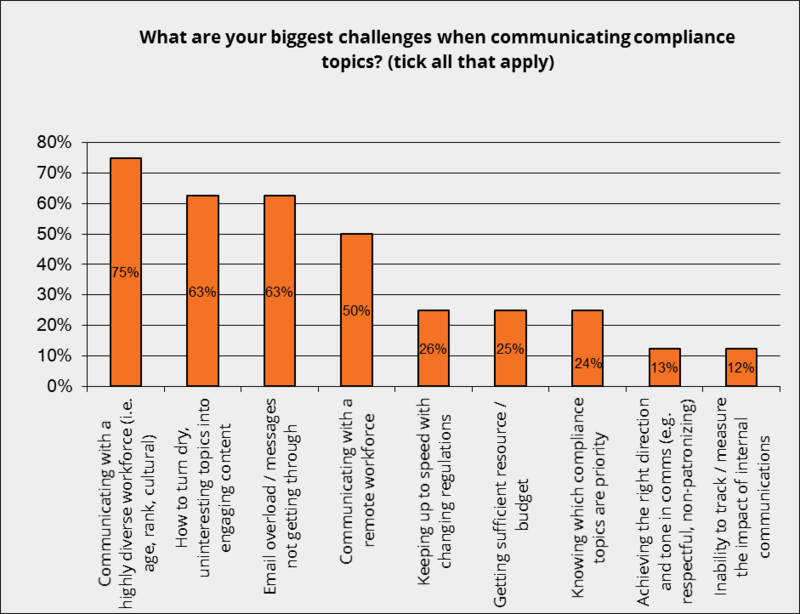 These are similar results to the SnapComms survey conducted last month at HCCA’s 21st Annual Compliance Institute in Maryland (26-29 March 2017), U.S.
“Different country but same story: getting employee attention is harder than ever before,” says Sarah Perry. “Organizations must rethink their approach to internal communications, particularly now there’s greater awareness regarding the positive impact an engaged workforce has. “Today’s employees deserve better than the conventional ‘all staff’ email,” suggests Sarah Perry. When asked what their key topics for communicating this year are, 63 per cent of respondents replied ‘Improving internal culture’, while ‘Introducing new processes’ was next with 35 per cent. Interestingly, none of the respondents cited Brexit-related communications as a key objective for the year ahead. And finally, when asked what would make their job easier and more effective, answers ranged from ‘employee communication software’ (not email! ); ‘less paperwork’ and applying ‘global standards’ across their organization. 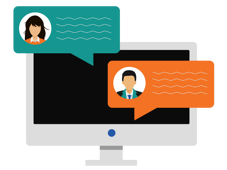 Do you face similar challenges to those shared with SnapComms at SCCE? Share your thoughts in the reply box below.